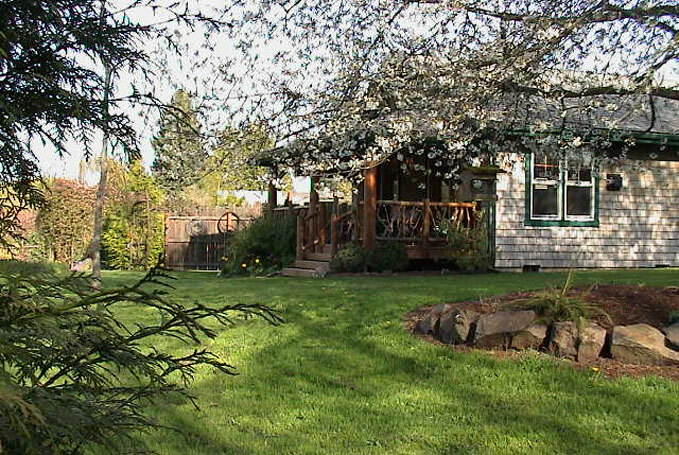 Nestled in a flower gardens and meadow setting that abounds with birds, artistic arbors, lovely grounds and cottages on beautiful Vashon Island, just minutes from downtown Seattle. This quiet, serene atmosphere provides a relaxing retreat, perfect for those seeking an enchanting getaway. Our new covered patio is a fabulous way to enjoy the outdoors, rain or shine. 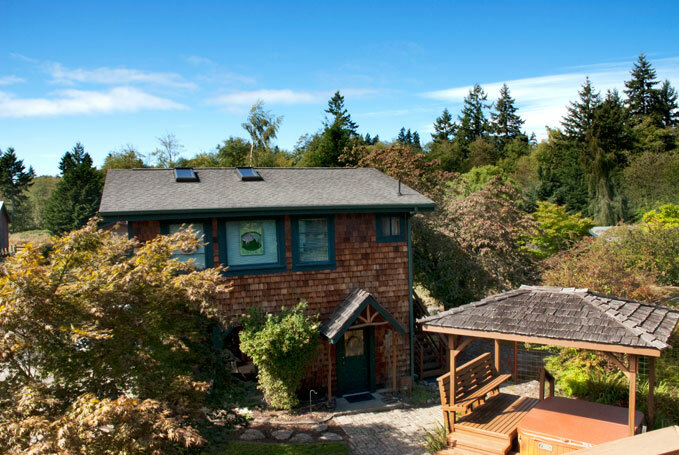 We are nestled on 5 peaceful acres on beautiful Vashon Island. From the moment you park your car and walk through one of the garden gates, you are transported to an enchanted world of garden paths, ponds, and trees, that is peaceful, quiet, and serene. 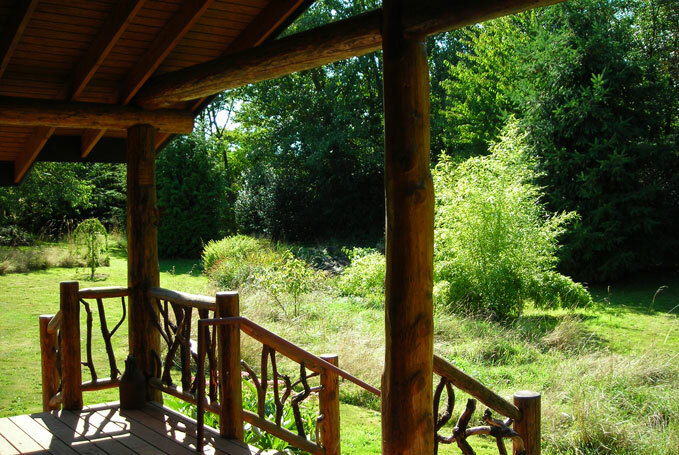 This is a place for personal reflection, rekindling romance, honeymooners, nature lovers, bird watchers, or for those just needing to break away from the daily grind. 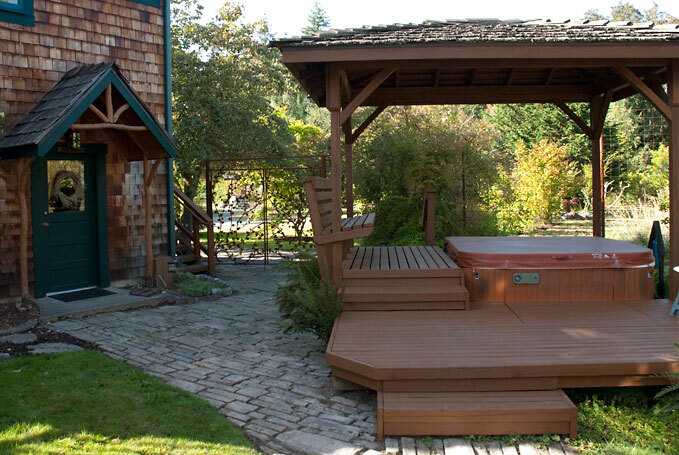 Enjoy and be nurtured by relaxing in the outdoor therapeutic spa. Unwind in the hot soothing water and let the jets massage your cares away while you listen to the sounds of frogs and night birds. 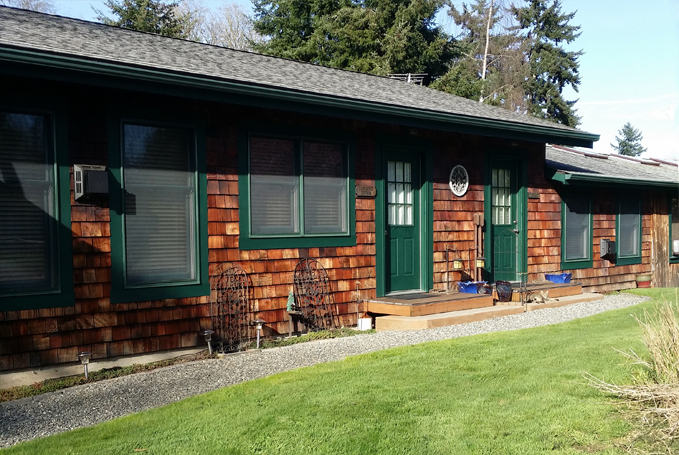 Just minutes from downtown Seattle, Tacoma, and the Kitsap Peninsula. Enjoy a gorgeous ferry ride from 3 different points of departure, West Seattle, Point Defiance in Tacoma, Southworth on the peninsula. 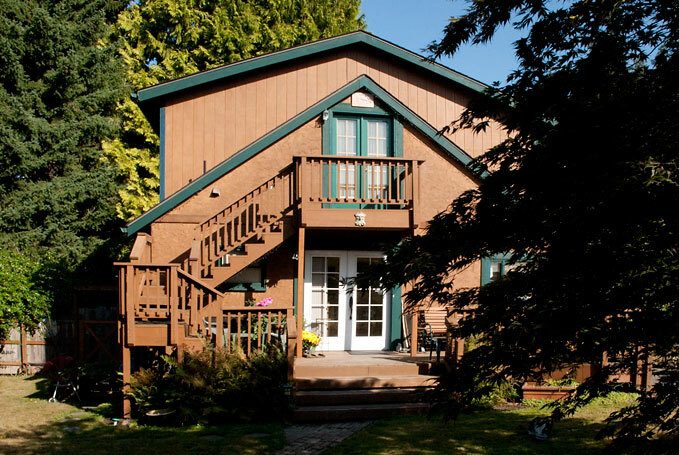 There are six distinctly unique and private suites / cottages, each with a private entrance, private bath, television, ceiling fans and warm soft robes.